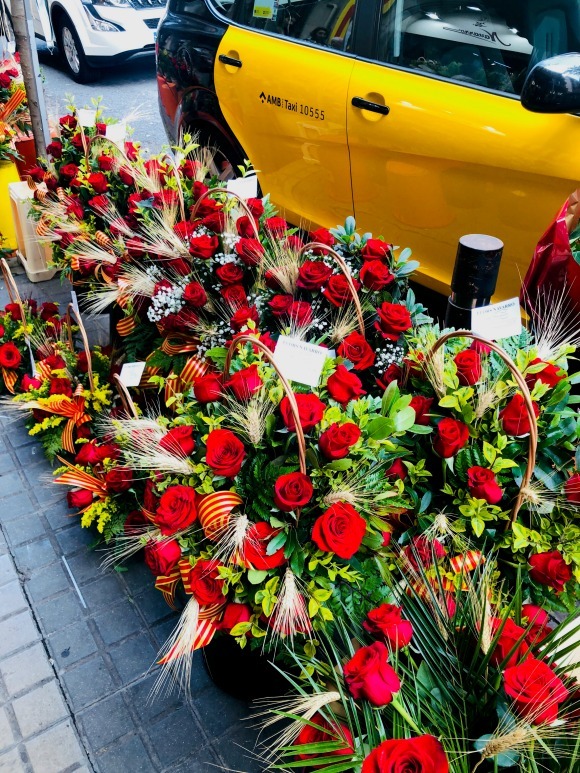 Yesterday was Sant Jordi Day – the most WONDERFUL day of the year in Barcelona! This special celebration happens every year on April 23rd. 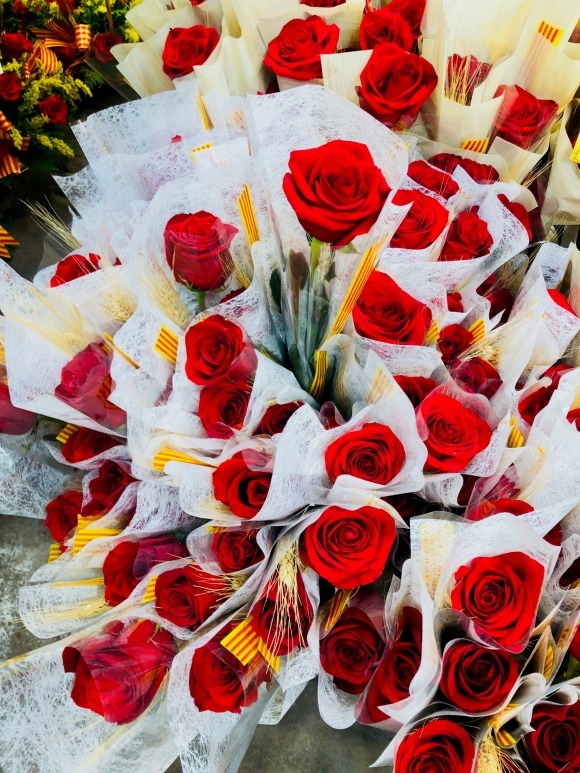 It’s the day Catalunya celebrates Saint George or Sant Jordi, the patron saint of Catalunya. The tradition is that men give the women roses and women give the men books. 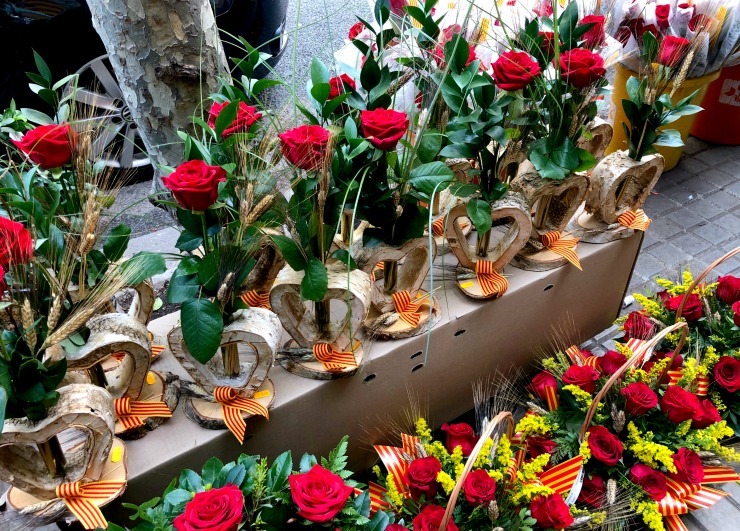 Celebrating Sant Jordi Day is not an official public holiday so all the stores, schools and businesses are open. However, everyone in the city is out and the energy on the streets is palpable. There are main areas of the city that have a huge concentration of booksellers, and table after table of vendors selling roses. 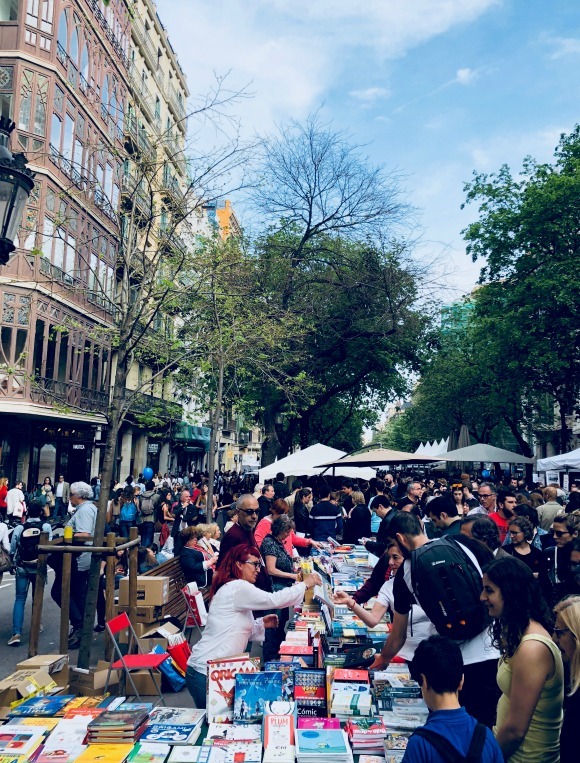 There are also smaller book vendors, local shops and students selling roses on the side streets and literally almost every corner of the city. In fact, right outside my door was a group of girls selling roses, with proceeds going to a charitable cause helping a small village in Peru. 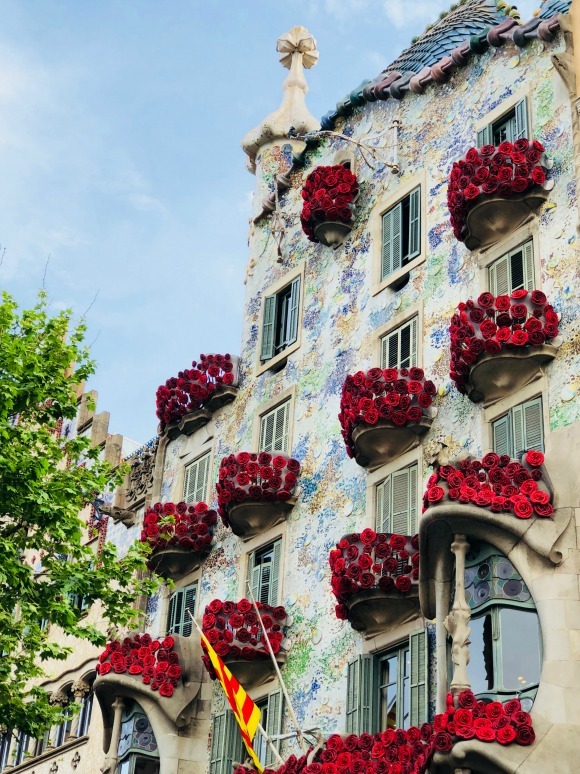 So who is Sant Jordi and why is this a holiday? 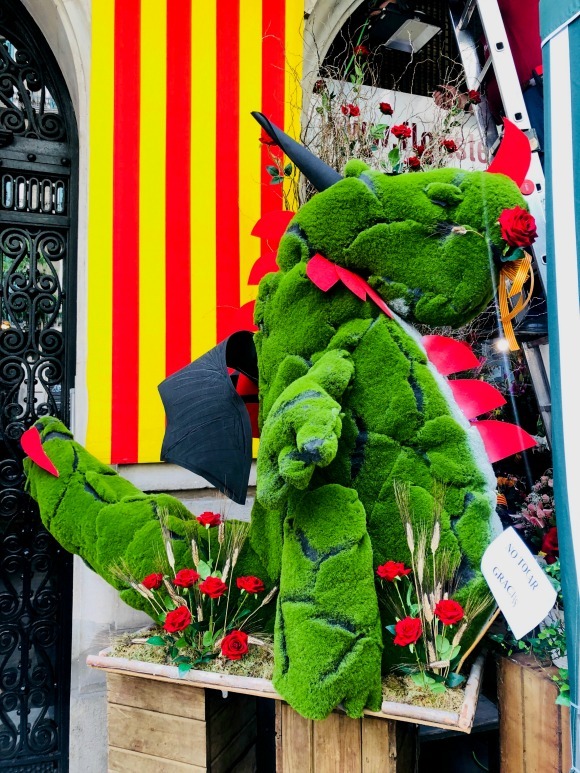 The story goes, that there was a dragon terrorizing a small village in Catalunya and Sant Jordi (or Saint George) killed him with his sword. When the dragon bled, he sprouted roses! Sant Jordi saved the village and the princess was up next to be eaten by the dragon. To read the more in-depth story you can go here. 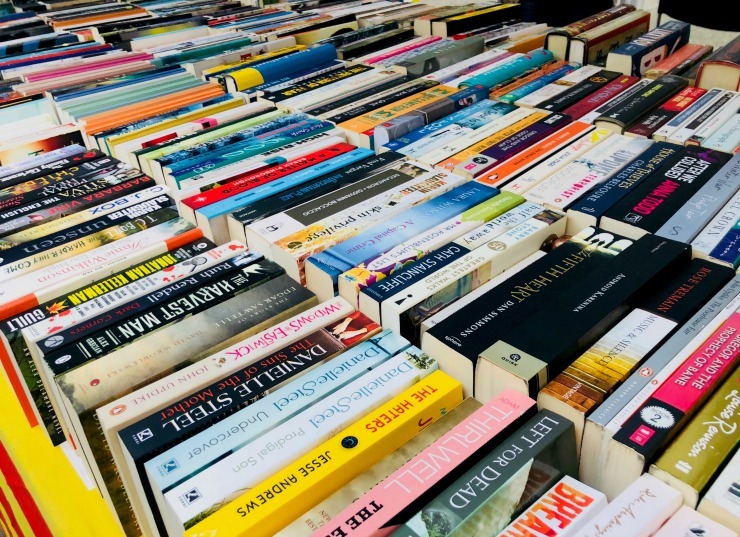 So what’s with the books? I heard about this holiday for the first time last year and I totally fell IN LOVE with it. I mean how can you not – roses and books – what’s not to like, right?! Some may compare this to Valentine’s Day in the United States, but to me it feels different. 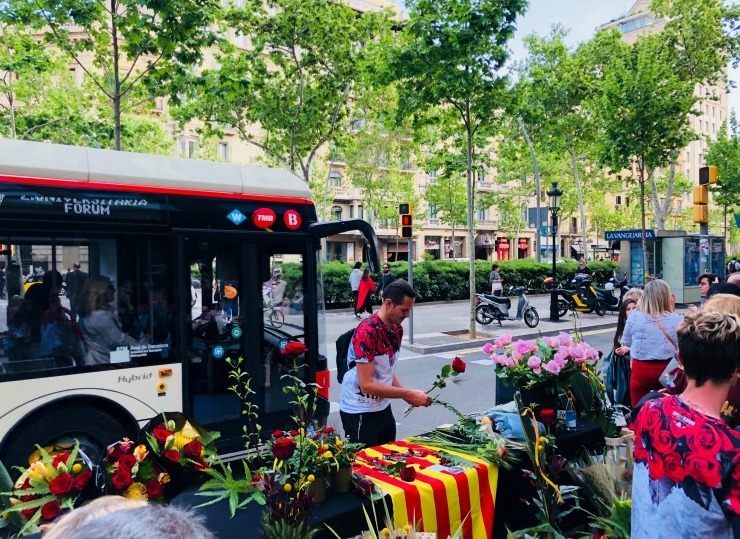 The focus is just on roses and books (red roses and also yellow ones to represent Catalunya). They do not get carried away with other gifts or chocolate and sweets. The streets just come alive. You see families and friends just strolling, grabbing drinks, and celebrating life with their loved ones. When you walk around the city and see everyone (and I mean everyone) carrying roses, it warms your heart. This city is amazing. 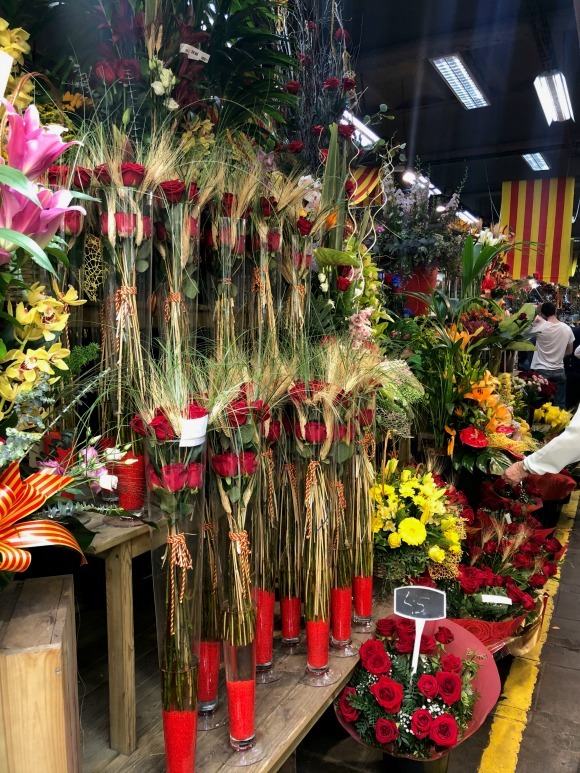 If you ever get the chance to come to Barcelona in April, make sure you plan your dates around Sant Jordi. 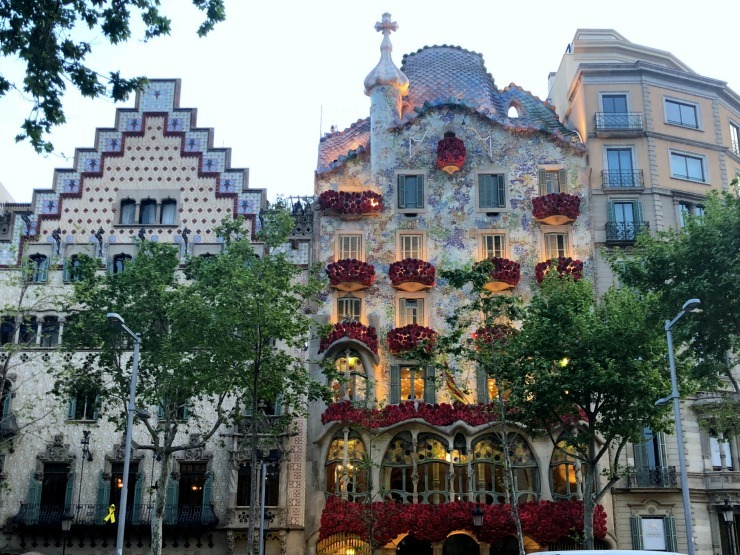 All around the city hotels and businesses decorate for Sant Jordi and one of the most beautiful sites in the city is the iconic Casa Battló by Antoni Gaudí. We walked over to it last night and it was slammed, and not just with tourists. There were locals and lovers taking selfies and kissing in front of it. It’s truly a wonderful sight to see. I love this post. 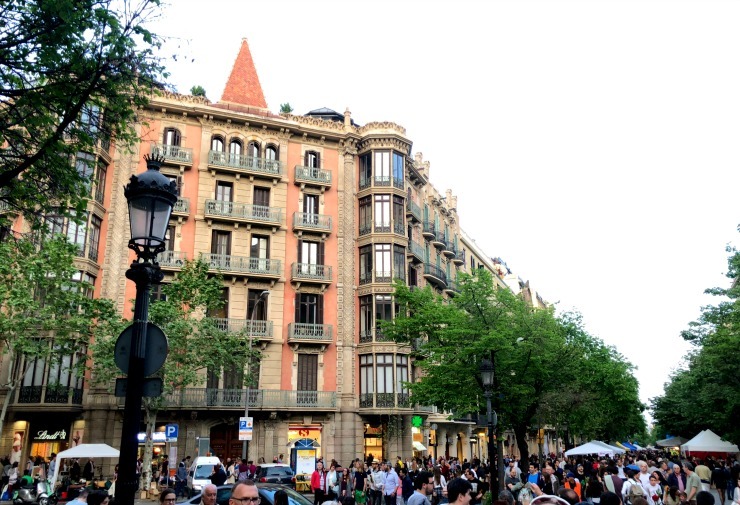 Whenever I read your blog, I get more and more excited to move to Barcelona in August! Thank you! We are also moving in August. Hope to meet some nice expats in the same boat! 🙂 and yes, thanks for the lovely post Andrea!